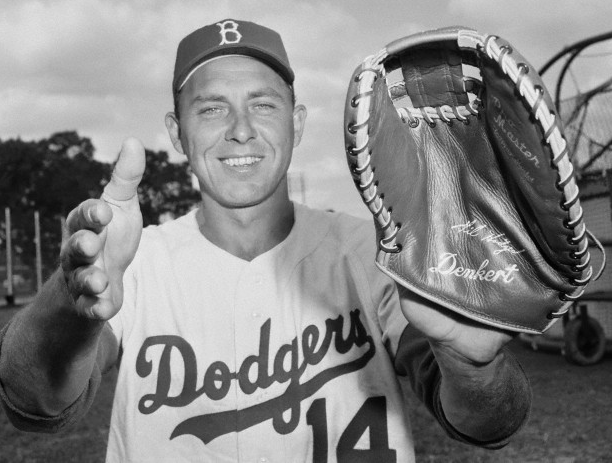 Vintage Baseball Glove Forum • View topic - Black gloves are so cool...why'd they stop making them? Black gloves are so cool...why'd they stop making them? Re: Black gloves are so cool...why'd they stop making them? Interesting that the Cooper Weeks glove has the Spider Web. I have a well made JC Higgins that has one, even down to the Spider Web stamping and the reverse button wrist strap. Wonder if anyone else borrowed that feature from Macgregor. That Monte Irvin is a beauty. Denkert dyed their gloves the coolest colors, red, orange, black and different shades of brown. They look great with silver stamping. I don't know if this picture has been posted already. Just came across it. 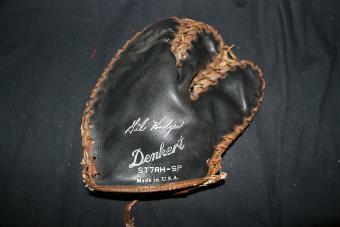 A 1950's Denkert made glove sold by Gambles. It's a "Danny OConnell" model that just sold on ebay. Looks like a nice glove. A Denkert G77 three finger design patent from 1956. 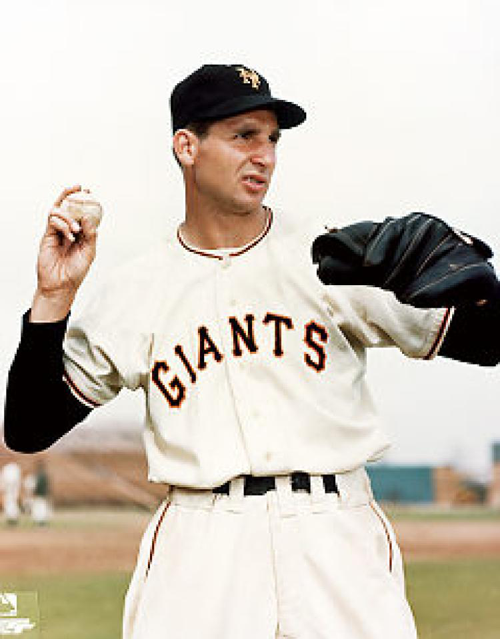 Not sure if they made a Monte Irvin in this particular model as well, but here’s a Hank Thompson. Cooper Weeks all day long. Wow, those gloves are in beautiful condition, Ata. I found a couple players from that era with black gloves. 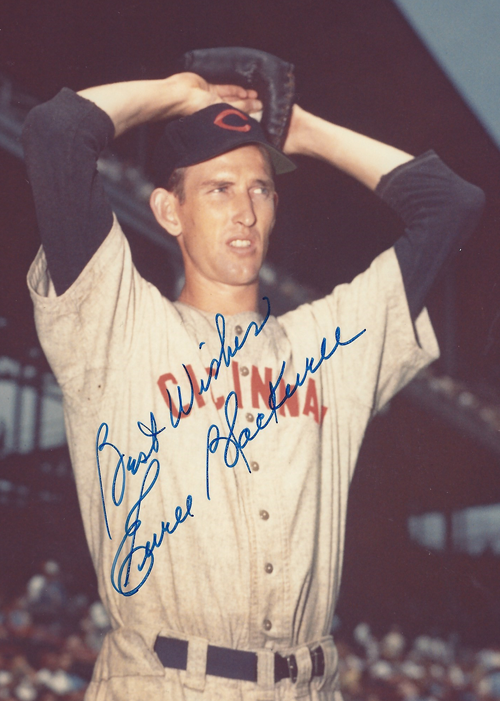 Bobby Thomson and Ewell Blackwell were MacGregor/MacGregor Goldsmith endorsers. 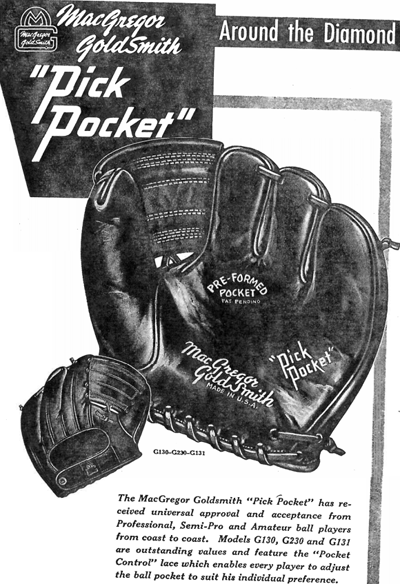 MacGregor Goldsmith made a black 3-finger, the G230 Pick Pocket. It was one of their top line gloves, but I don't think I've ever seen one.